Prabhakar Iyer, Hyd- Don’t worry. You have done your part. Someone will do the rest. Nothing is permanent, even in temples. Don’t worry about it. You have done your part. Someone else will do the rest. Nothing is permanent, even in temples. Even from that early time, for me, Sri Swamiji was God only. I thought “Definitely I have to meet Him.” During one Navaratri, I happened to go on business to Vijayawada with a Muslim friend. I asked to take me to the Vijayawada Ashram. I said, “Do you have any problem seeing a religious Swami?” He replied, “No, I’ll take you.” So we went together. It was evening time and Sri Swamiji was singing bhajans. I thought then, ‘Going near to Him on some recommendation and going and forgetting about everything is not right’. So I prostrated then and there, and said, “You wanted me to come; I have come. You are busy; you are engaged, please pardon me.” Then I left and I went back to Hyderabad. Meanwhile, in 1982, while they were planning the construction of the Hyderabad Ashram, a Trustee whom I knew, asked me to come there. He told me that Sri Swamiji was also coming. I became some kind of a member in that group with about six of us handling the construction. I also help with cooking, singing bhajans, and whatever there was to be done. Before the construction finished, the trustees asked one other person and me to go to Madras and bring the Datta murti. In my business, heavy loss was incurred even though Sri Swamiji had visited the business place. He said, “Such a big show you have put on.” Losses kept on being incurred and the state finance people said they would have to auction the property. My partner told me to resign and he would carry on the business. I resigned and gave it to my partner. Mr. Narayan Rao and other trustees were working on the construction of the Ashram. He asked me, “How can you bear this loss?” I said, “Something will have to happen. We cannot stop what is to happen.” Then I fully concentrated and helped with the construction. When everything was completed, Sri Swamiji came for Kumbha Abhishekam and somehow some of the murtis were placed in the wrong positions. Instead of Rahu and Ketu, some other murtis were placed in their positions. Some people from the Ashram, who had taken maximum interest in the works, were getting so many problems in their lives. Whoever was in charge of doing that that got many problems in their life. I asked Him to touch my application to work with some other company. I don’t know what I said in my interview, but the employer, the Managing Director, was very impressed and said that I could start in a higher position right away without my certificates. He told my friend who had told me about the job that I had unique experience and I could start in a higher position. I went to Mysore after getting the results of the interview and with my official letter I again went for Sri Swamiji to touch it. 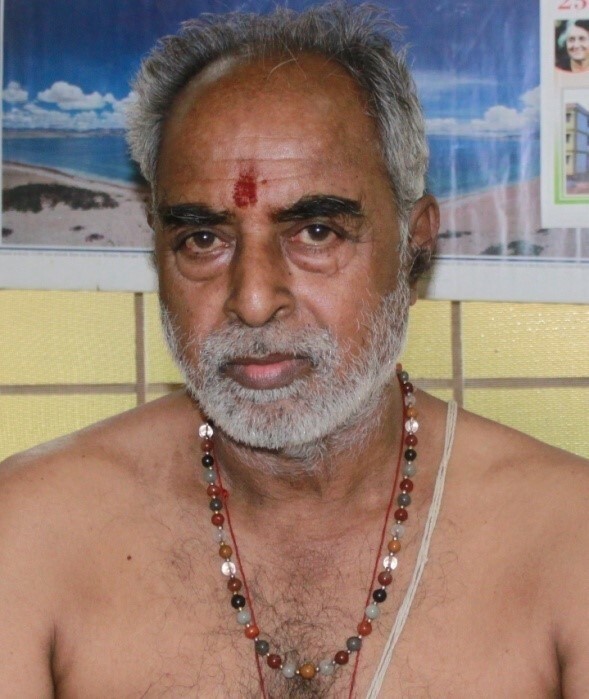 He said, “There is a Subramaniam Temple in Nadupalani and you know the language. They need a manager. Will you go?” I answered, “You give me Shakti and wherever you want me to go I will go.” He said, “Collect the address from Vhamsy.” Again after half an hour, Vhamsy told me that Sri Swamiji will take me to Nadupalani so I should go to Bangalore. Some other Swami had constructed that Temple and he was in a coma in the hospital. He asked Swamiji to take over the temple management. In Acharapakam, behind the Temple there is a big hill and every morning devotees would come to do bhajans and perform one pradakshina which would take about seven hours. One day I made rice prasadam, but that day not too many people came and one big potful was still left. I took it in front of Sri Swamiji’s photo and offered some with a spoon in a plate. The evening from about 7.00 till 11.30 pm, I kept waking-up for about five times and I noticed that the prasadam was still there. But at five o’clock the following morning, the prasadam was completely gone. Nobody came, but the prasadam was finished. Sri Swamiji said that Adi Devata Datta was there. Anybody can come, but devotees should not try to see His face. This place was Sahyadri Parvata. Sometime later, I was informed that the Vijayawada Ashrama was not in a good shape and they needed a manager there. The problem was that they never liked Brahmins. Sri Swamiji told me, “If you go there to manage you will also face some trouble there, but it will not as bad as Nadupalani.” In January 2001, Sri Swamiji called me and said that I should go by car and He would be coming by plane. When He got there, He called everyone and said, “He’s my man. I’m keeping him here as the Manager. Whatever he says you people must do. If there are any problems, let me know about them.” However, instead of them complaining, I was the one who phoned Prasadi and said that these people were worse than those in Nadupalani. They don’t understand Appaji’s language. In Vijayawada, my first job was to educate the people. Sri Swamiji told me, “If you act as a bad man, I don’t care. You can be separate, but they should not split. How you manage, it’s up to you.” In conversation, I told them that Sri Swamiji wanted only one thing; that they should cooperate with me, the manager, and they should not do what they liked. They sent a taped message to Sri Swamiji and they wanted proof of Sri Swamiji’s response. When the answers came they all agreed to cooperate. At the end of three months, all kinds of functions were taking place. I introduced some good projects; Homa and different pujas; the people of Vijayawada accepted me as having some worth; I was doing things. I was the manager there for eight years. After that I had developed kidney and blood-pressure problems, neuropathy and diabetes. During my stay there, under my supervision, Marakata Raja Rajeshwari Temple was constructed and consecrated. The Kalyana Mantapam was renovated, and the priest’s quarters were constructed. I lost my mind, shouted at everyone to get the work done; also my wife was not there. 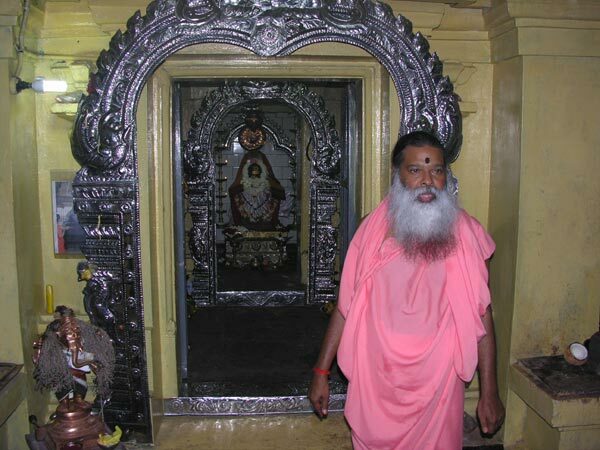 Then Sri Swamiji said, “It would be better if you take some rest.” So on June 16th 2009, I left Vijayawada. My son was in Hyderabad, and he asked Sri Swamiji for him to look after me. Sri Swamiji said, “He’s my son.” Sri Swamiji had told me that He knows what time to call me, so until then I should take leave and rest. Spiritually, when I was an Executive Member in Vijayawada, people were complaining about how they had to pay for pujas. The next day Sri Swamiji came in my dream, in sadhu’s dress and said, “Bhavati Bhiksham Dehi.” My wife called and said, ‘Somebody has come. See who it is.” Then she called out that Sri Swamiji had come. In the dream I got up and did my puja. Then I saw Sri Swamiji and I prostrated to Him. He put His hand on my shoulder and said, “Come, I’ll tell you.” What He was chanting I don’t remember, but He told me that whether I have money or not, He would come to me, and I must remember this.” He was showing me that others pay and wait for the pada puja, but I did not have to pay, He would come to me when necessary. “Without any payment, I’ll come to you. Remember this!” Jaya Guru Datta. C S Venkatesh, Bangalore: “Wherever you work, be honest and sincere. Pray to God and your Guru. You will come out good in life”. “Wherever you work, as a clerk or an engineer, be honest and sincere and pray to God and your Guru. You will come out good in life”. I met Sri Swamiji for the first time in October 1966. My parents, Mr. C N Srinivasa Rao and Smt. Lakshmi Narasamma, had three sons and two daughters. I’m the youngest among the sons. In January 1955, when I was just fifteen years old and appearing for the tenth Class exams in Bangalore, my father passed away. 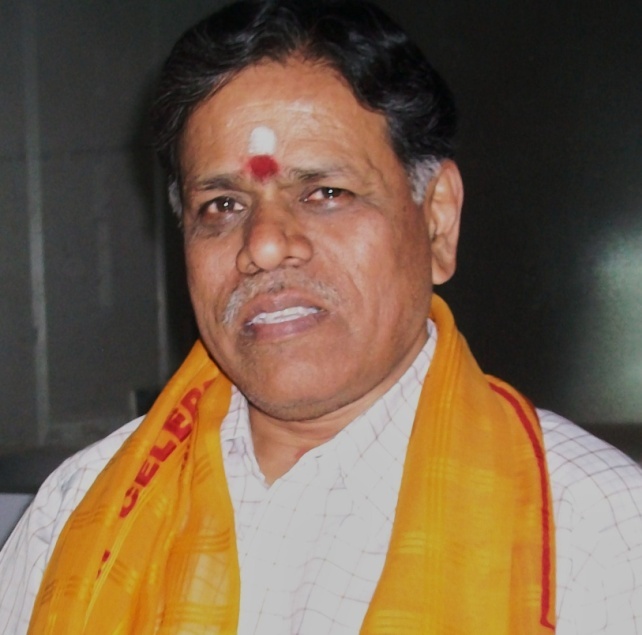 He had inherited a lot of property from his father, Mr. Nanjunda Rao. With all the court cases and upon the death of my father, my mother inherited it. She became a millionaire, one whose wealth was valued over ten million rupees. Fate played a different game for us when my father’s younger brother, sister and brothers-in-law took up a battle with my mother in the courts. For thirty-two years she fought in the court and travelled every now and then, alone to Coimbatore to face the courts. As time pass, she got tired of feeding the flames of greed and destruction and stepped back from the court mater. Once, she observed two farmers, both brothers, who occupied either side of the property fought with sickles and machete. On seeing this situation, she withdrew from all court cases and surrendered the crores of rupees of property. She knew that her Guru, Sri Ganapathy Sachchidananda Swamiji, will take care of her children. This being the situation, I was forced to become the breadwinner for my family. I had to struggle a lot for the education of my brothers and sisters. Without any basic facilities, I struggled and became a science graduate in April 1960, from Central College, Bangalore. My mother’s maternal uncle Mr. H.S. 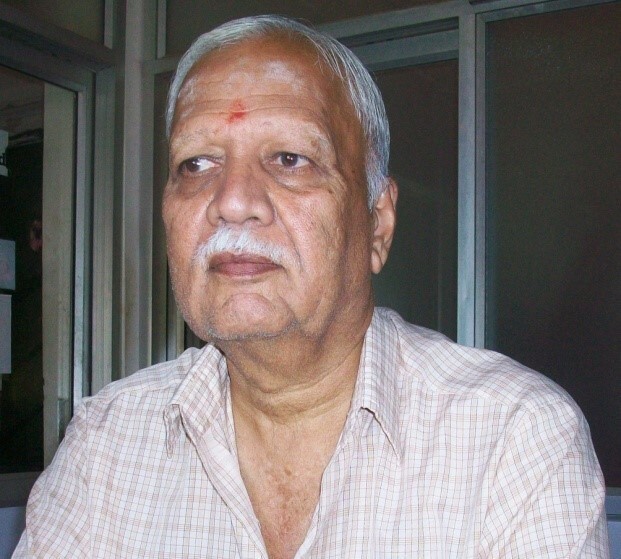 Hirannaih, who was the Chief Secretary to the Govt. of Karnataka, told me, “Wherever you work, as a clerk or an engineer, be honest and sincere and pray to God and your Guru. You will come out good in life”. I uphold that principle even to this day. We were associated with many institutions in Bangalore; one of them was the Ragigudda Prasanna Anjaneya Swamy temple in Jayanagar. In1966, my cousin, C.S. Narasimah, who lived in Mysore, invited my mother and me to have darshan of Sri Ganapathi Sachchidananda Swamiji. By then I was about twenty-six years old. When we got there we found that the Ashrama had only a small hut. We went and prostrated before Sri Swamiji, He asked me about my personal particulars and I explained it to Him. Sri Swamiji asked, “Can you go out of ashram right now?” I asked Him, “What prevents me from going out? Is there any obstacle?” He simply looked at me and said, “You can try”. Somehow, some force was keeping me in the ashram. Then He asked me, “Do you have interest in God?” I replied, “By looking at you, Swamiji, I feel like I’m having darsham of Lord Brahma, Lord Vishnu and Lord Maheshwara through you.” He then said, “In that case, prostrate before me and participate in nine or twenty-one Shivaratris that takes place at the ashram every year”. I promised Him that I would and returned with my mother to Bangalore. Since that day, we have visted the Mysore ashram at least once every four months. We attended all the major functions and up to 2012 I have participated in forty-seven Maha Shivaratis. 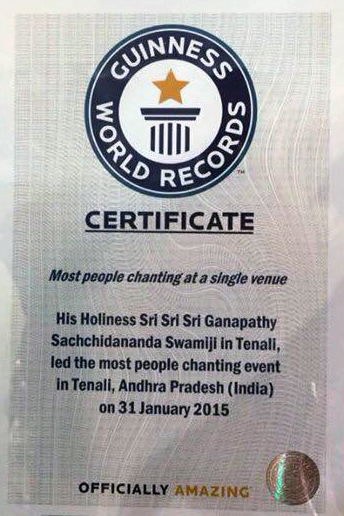 It was possible only by the Divine grace of Sri Swamiji. In 1986, I became a trustee of the Bangalore ashram branch and am continuing to do so. In 1968, I took my mother to Mysore to attend the Shivaratri program. Sri Swamiji took about seventy devotees, including myself and my dear mother, to Chamundi Hills situated opposite to our Ashram at Mysore. We climbed the hill and at the mid point area, He stopped and began looking at something. There was an opening in between two rocks in the middle of the mountains and to our amazement; water began to trickle out of it. He collected some and sprinked it on each one of us. He then took a danda in His hand and stood on a rock. At that point, I saw the form of Lord Subramanya in Him and offered my pranams. While saying this He rubbed His stomach and then took His hands to the hole in the rocks and pulled out a beautiful sugar candy of Lord Ganesh; three inches in width, six inches in height and one inch thick. He gave it to me and asked me to share it with the rest of the devotees. It was the best sweet I ever had. We then wet ourselves with the water from the rock and collected twenty-one pots of water to perform abhisheka to Shiva, in the evening. In 1969, Sri Swamiji told me that I should marry a girl from a poor family who is cultured and well behaved. I told Him that whomever He chooses would be my partner, but Sri Swamiji must be present to bless us on the wedding day or the day when my wife is brought home. Sri Swamiji told a devotee sitting next to Him, “See how he is talking. This is the kind of firmness of mind that my devotees should have. I like it. He came to my marriage. When I asked Him His blessings, He said that I was going to see a miracle soon. The marriage took place on May 7th , 1969 in Bangalore. When I went upstairs in the marriage hall, and prostrated before Sri Swamiji’s photo, I saw three packets at the Feet of His photo; one with Kumkum, one with Turmeric and one with Vibhuti. After prostration, when I got up, I saw that the kumkum has become turmeric, turmeric has become kumkum and the Vibhuti became red. I brought this to the attention of my wife and mother. We all agreed it was Sri Swamiji’s blessings. My wife, Girija, was brought up with a lot of love from her family, especially her uncle, Mr. K S Suryanarayana and his wife Mrs. Nagalakshmi. They did not have any children and asked me to take them to Sri Swamiji for blessings to have a child so we went to Mysore for His darshan. Sri Swamiji said, “Give me three months time; I have to talk with God”. After six months, when we went back to Him again, He said, “You are not going to have children due to the curse of your ancestors, since the annual ceremonies were not performed.” Sri Swamiji then called me said that I would get a child in two years. He then called my wife and said that she would bear a beautiful child who is Saraswati, the Goddess of learning. However, she should hand her over to Him after her birth. Sri Swamiji asked us to agree to this and place tulasi leaves at His feet and we prostrated before Him. In March 1979, a daughter was born to us. We named her Ashwini after her birth start. We kept the child with us for eight months and then as advised by Sri Swamiji, the baby was handed over to Mrs and Mr. Suryanarayana. During one of Sri Swamiji’s visits to Bangalore, in 1986, Sri Swamiji wanted some land to be purchased for Bangalore ashram. With the help of Mr. Krishna Bhat, K R Krishna Murthy and Mr. T Naganna, I landed in Girinagar along with Mrs. Usha Narasimha. Sri Swamiji selected the present ashram place and said that in due course of time; it will become a very big ashram and a busy place. Sri Swamiji told me to use this place for Bhajans and for performing Puja.